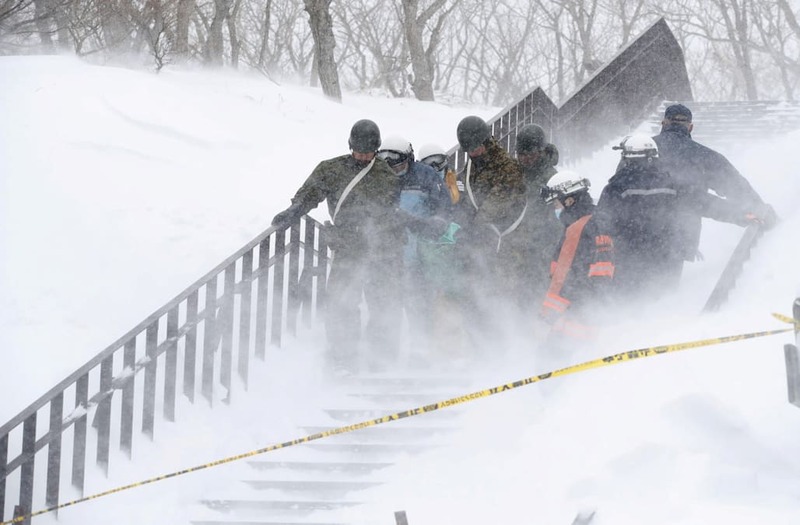 Eight people were killed when an avalanche struck a Japanese ski resort on Monday, police said. Dozens of high school students and about 12 teachers had been taking part in a mountain climbing safety training exercise in the Nasu area, which is located about 100 miles north of Tokyo. Tatsufumi Sekine, a local disaster management official, told NBC News that seven of the victims were male students while the eighth was a male teacher. Two other people suffered serious injuries, and 36 people were being treated for non life-threatening injuries, according to Kazuya Nagai, a spokesman for Tochigi Northeast Area Fire Department Operation Center. Japanese media said the students were participating in a three-day training program for members of mountaineering clubs from local schools. Heavy snow had fallen overnight, so a planned climb was canceled and instead students were practicing moving through heavy snow as mountain survival training, public broadcaster NHK said. Officials responded to the scene after a teacher called for help at 9:20 a.m. local time (8:20 p.m. ET Sunday). Hours before the incident, the local meteorological agency issued an alert warning that avalanches were possible. The ski resort had been closed for the season since last Monday, according to its website.